COME SEE US AT STITCHES SOUTH! We have new yarns, new colors and new designs! Also we are introducing our new limited edition kits. 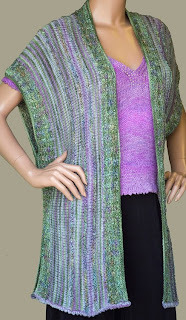 shown with our Beaded V-Neck Sweater in Grape Softwist Rayon. 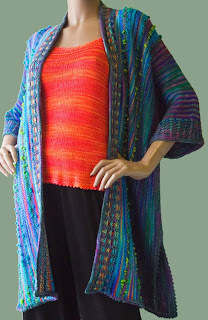 The vest, in Sock Plus, Rayon Loop, and Softwist Rayon is 50" at the chest. 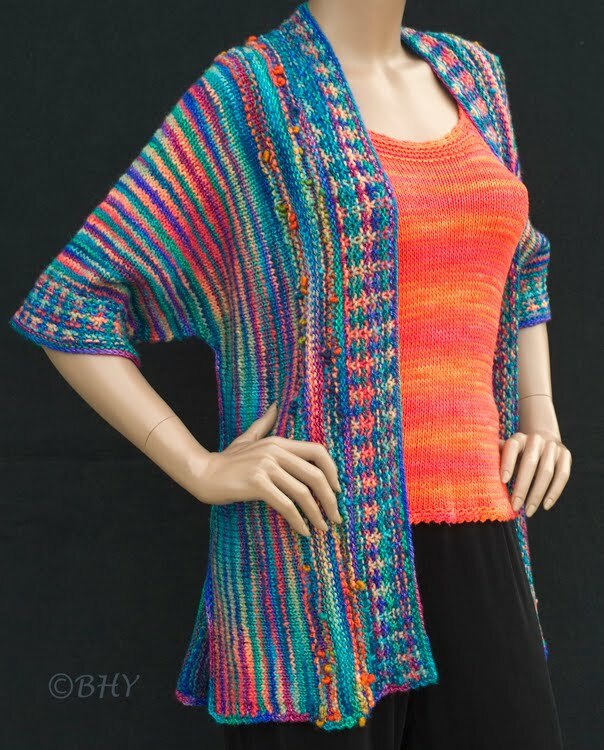 The sweater comes in 6 sizes from 34" to 54" and comes with the beads included. The three jackets are all variations of the Deep Ocean Jacket. The original small size is 38" at the chest. The medium is 48" and the large is 52". The two larger sizes are from our limited edition designer line.